Mammograms Save Lives, one of them may be yours. In October, the David Maus Automotive Group is teaming up with Sand Lake Imaging to supply free mammograms to women. 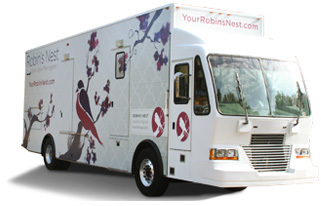 A mobile mammogram will be at David Maus Toyota every Wednesday in October. Getting an annual mammogram is important, and we want to spread awareness and provide assistance to women in Central Florida. In addition to the mobile mammogram, the David Maus Automotive Group is fundraising through the sale of polo shirts and the sponsorship of the upcoming Making Strides for Breast Cancer walk. Three-quarters of the women diagnosed with breast cancer have no family history of the disease and are not considered high-risk. Even for women 50-years and older, skipping a mammogram every-other year would miss up to 30% of cancers. Mammography has helped reduce breast cancer mortality in the US by nearly one-third since 1990. 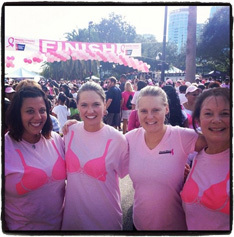 One in six breast cancers occur in women age 40 to 49. One in sixty-nine women will be diagnosed with invasive breast cancer in their 40’s. What is the goal of breast cancer screening? The goal of screening is to reduce death due to breast cancer by detecting breast cancer early when treatment is more effective and less harmful. Simply, the goal of breast cancer screening is to reduce the number of patients who present with advanced breast cancer disease. If breast cancer is present will it be detected by screening mammography? Mammography detects most, but not all breast cancers. Mammographic sensitivity is dependent on the breast density and other factors. What is the chance that a mammogram will save the life of a woman with breast cancer? Based on observational studies in modern screening mammography there are 30% to 40% fewer deaths due to breast cancer among women screened with mammography than among those who do not undergo screening. SLI: A tradition of imaging excellence.